Mixing together no less than 6(!) 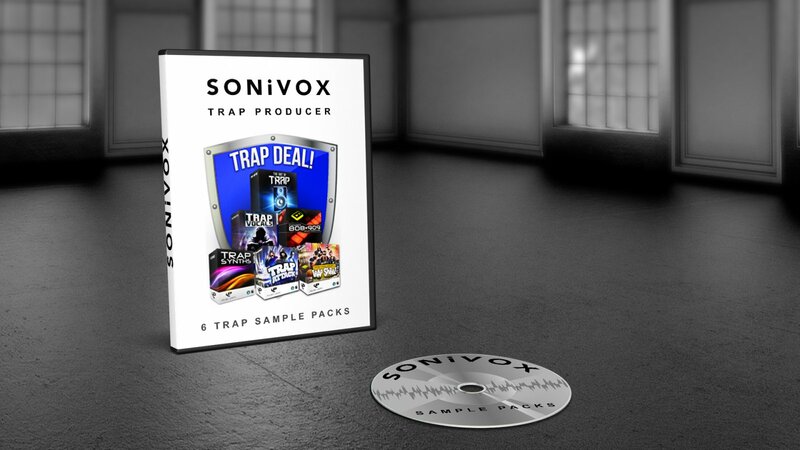 of our baddest Trap sample packs, you’ll find all the ammunition you need in the form of earth quakin’ 808 kicks & basslines, dramatic chords & synth riffs, signature Trap vocals and much more! Damn Son! 90 straight-up Trap phrases to bring some signature verbal attack to your mix! 260+ Pristinely recorded 808 & 909 drum machine samples! Sub thumping kicks, bass hits & crisp snares & more essential sounds for that authentic Trap sound! 300+ Badass Trap drum loops, booming basslines, dramatic synth hooks & more! Organised into 10 construction kits for your remixing pleasure, you’ll be sure to cause some damage to any in car entertainment system! 380MB of Venomous Trap synth loops; featuring spooky Trap arpeggios, submerged basslines, rhythmic lead loops, quaking pads, FX & more! 375MB of next level Trap swagger! Loaded with sweeping sub-bass, drum loops, searing synths and sonorous SFX to keep the club bouncing all night long! 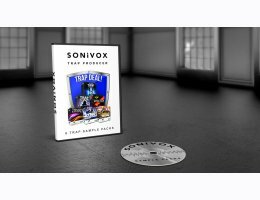 Arm yourself with over 500Mb of the hottest super-slow, tricked-out Trap rhythms, ultra-subterranean bass, operatic trap synth leads and so much more sound material to seriously step up your game. At an indulgent 2.4GB+, this combo deal really is value for money. If you're looking for an entire arsenal of Trap ammunition, then you know what to do!